Eileen became a frequent visitor to our home, a close friend of my mother’s, and even the emergency babysitter if my family needed someone to watch me. She was the perfect example of a good neighbor. 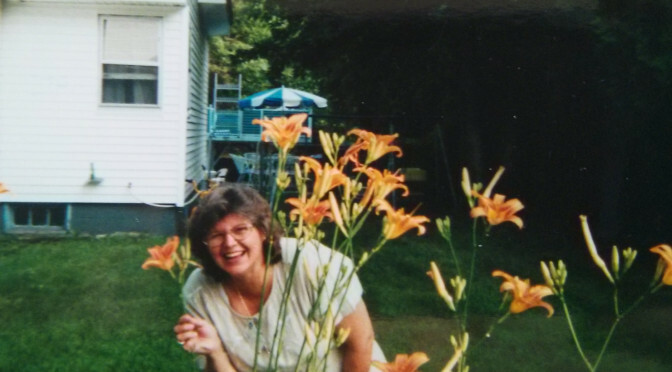 She and Mum both loved flowers, and the space between our yards became gardens in the spring & summer of irises, lilies and roses. She was just a bit older than my mother, and her kids were a lot older than me. Going to her house was a treat – she had a dog (we didn’t), and cats (we didn’t) that I could play with, and an incredibly beautiful collection of blue plates and glass – she loved the color blue. She also had a pool in her backyard. My friend and I used to go to her house every day in the humid New England summertime and beg to swim in her pool. She often obliged us, and those summer days swimming there remain some of the best memories of my childhood. She was our neighbor for over a decade. She was there when my grandfather died. We saw her kids grow up and move away and have kids of their own. We faced winter blizzards together when the whole street was snowed in and we dug tunnels to each others’ houses to share meals and play boardgames. We were there for her when her husband passed away. I remember when she met my friend Yaakov for the first time — he was 16 and I was 14. She took me aside, with a knowing look in her eye, and told me he was very handsome, and she thought maybe we “liked” each other. I remember awkwardly telling her that he was just my friend, and besides, he was definitely gay. I still remember the way her eyes sparkled as she grinned and said “oh! well that’s wonderful too! Gay men make such wonderful friends!” She loved and accepted everybody with such grace and joy. 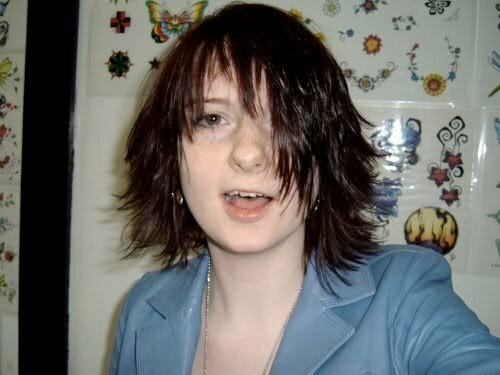 Now, for some perspective on my side, I’d just like to point out I was probably 12 or 13 when this happened. I don’t remember the exact year. I just remember her being very excited, and then her telling us she wanted to move to Hawaii. What I remember so vividly is how diametrically opposed I was to this idea. I remember thinking that if she moved, she wouldn’t be around to be my nice neighbor anymore. Someone else might move in, and they might not be as wonderful as she was. I remember thinking about how much I’d miss her and her laugh. I remember selfishly worrying that I’d never get to swim in her pool again. So I discouraged her. I told her she’d be missed by us, and that her kids and grandkids were all in New Hampshire. That I heard Hawaii was really expensive and that it’d be so hard to move out there. I don’t remember everything I told her, but I remember distinctively this feeling of negativity surrounding the idea of her moving to Hawaii. The thing is, in retrospect, I have no idea how serious she was about moving. She might’ve just been saying it after having such a fun time, with no intention, just sharing the joy. I mean, she did have a house, and kids and grandkids in the neighborhood, a job and a life there in Manchester – why would she give that up? I don’t know. I was just a kid, and my perspective is tremendously skewed by that fact. But to my childhood recollection – the possibility that she would leave was distinct, and scary, and I did everything within my power to make sure she was thoroughly discouraged from leaving. She didn’t leave. She stayed in that house, and spent time with her grandkids and kept attending my family’s religious celebrations. She still let me swim in her pool, she even let me have one of her cats. She stayed right where she was, being a beacon of joy and love. She hung the picture of herself swimming with the dolphins up in her living room and watched me and the other neighborhood kids grow up. My family ended up moving away – not very far, just a mile down the road, but she was in our dining room often for a meal. One day she called my mother, and I answered the phone instead. I could hear tears in her voice, and Mum headed right over to her house. She’d been diagnosed with breast cancer. Eileen was tremendously brave. She faced each treatment with enormous resolve and her friends stood by her, bringing her to doctor’s appointments, bringing over meals, trying to keep her spirits high. My hair was very long at that time, and I told her I was going to cut it and donate it to Locks of Love in her honor. She brushed my hair with her hands, hugged me tightly and asked me to wait until after she was gone to do it. She wanted to always remember me with long hair, but she was honored to know that after she died, I’d donate it. We lost her in June of 2007. Sometime not long before she died, I remember visiting her with Yaakov, and we talked a little bit about swimming with dolphins and how she’d wanted to live in Hawaii. She said something about it – that she always wanted to live there, and she never got to. After her funeral, I felt an enormous regret – that she could’ve spent her last five years living in Hawaii, swimming with dolphins. I felt like I’d actually been an active part in keeping her in deary, boring New Hampshire, that maybe I had something to do with her choice not to go. I know in retrospect, as an adult, that there were dozens of factors that made her choice – if she’d ever seriously considered it, not that I really even know. I made an appointment the day of her funeral, and chopped 22″ inches from my hair. I donated it in her honor. And I swore to myself I would never discourage anyone from their dreams for my own selfish reasons ever again. I know I was just a kid, and she was talking about Hawaii and I have no idea how serious she was or what factors she considered. I’m sure my bratty little redheaded self had very little impact on her decisions. But I don’t ever want someone to die thinking I wanted anything for them besides their happiness. I don’t ever want to be the person discouraging others from following their dreams, their hopes and their bliss. 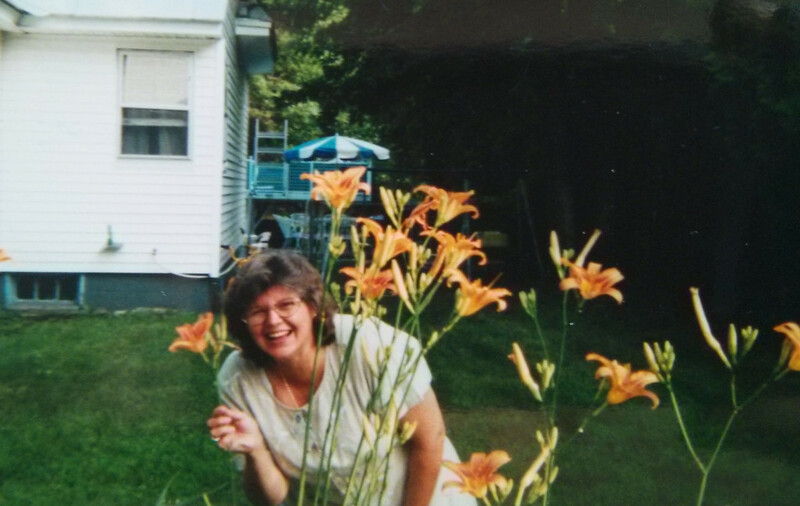 Eileen was an incredible human being – she was filled with love and joy and she gave that out to everyone around her. She was charitable and kind and the best neighbor anyone could ever ask for. She was one of my mother’s dearest friends, she was one of mine. I know she wouldn’t want me regretting what 12-year-old me told her while being selfish, trying to make sure she wouldn’t leave us for the beautiful epic place that is Hawaii. But it haunted me for years. I had to process it and contemplate until I finally accepted that I am never going to stand in the way of someone else’s happiness again, even if it means losing them. I’ve embraced this philosophy in friendships and relationships – knowing my attachment to someone doesn’t put my need to be happy above theirs – and that we should all have the opportunity to follow our bliss, without feeling bad about it. I miss her often, I think about her constantly, and I am grateful to have reconnected with her family recently thanks to Facebook. Eileen inspired me in many ways. But most of all in joy — to bring it to others, to find it in everything, and to try to amplify it, not minimize it. I’ll always be trying to make the lives of those I love more filled with joy – and embrace their passions and their happiness, even if it takes them away from me. I know my chasing my dreams and ideals have taken me far from many I’ve loved, and I hope they know why and see it as joy. This is a beautiful tribute to a kind woman who even in her death was teaching you a valuable life lesson about how sometimes loving people means letting them go. What a beautiful writing! I think in the end this lady was right where she wanted to be – around people who loved her very much. She was lucky to have wonderful people around her and your family was lucky to have her around you. This made me cry you are a very good girl may life take you anywhere you want to go. Avens, this is a heartfelt and deeply moving piece, thank you. Thank you so much for writing this lovely article about my mother. Every time I read it, I smile and I laugh and I cry. I remember her so vividly, how her smile lit up the room and how loving she was to everyone. I’m glad that you have such fond memories of her and have shared them with the world. Even though she is no longer with us physically, she lives on in our hearts and in our minds and in our souls. I will forever continue to count it all joy!